Birla Ayurveda offers holistic health care with authentic Ayurvedic remedies. This is a part of Birla Wellness. There are 17 therapy centres by Birla Ayurveda in India. These are a combination of stay and spa, clinics that offer consultation by Ayurvedic doctors and day care treatment centres. They also offer Ayurveda wellness membership packages to help treat a number of chronic and lifestyle-related issues. Doctors at Birla Ayurvedic Clinic do not just treat the complaint a patient comes in with. They treat the patient as a whole so that the patient’s overall mental and physical health improves. They are known for their expertise in Ayurvedic treatment and their compassionate bedside manner. Honesty and transparency are highly valued and maintained at all times during treatment. 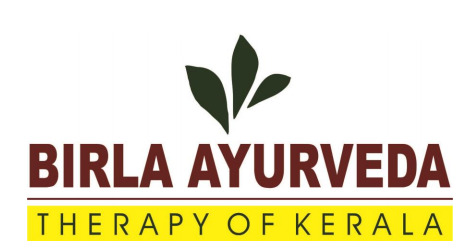 Birla Ayurveda is a holistic clinic that offers treatment for arthritis, paralysis, eye diseases, stress, weight loss, skin problems, hair fall, migraines, muscle pains and insomnia. Dr. Sreedevi Md, one of the Ayurvedic specialists at the clinic has 4 years of experience behind her. A variety of authentic Ayurvedic treatments is available at the Birla Ayurveda Clinic. This includes Anjanam, Tharpanam, Nasya, Pizhichil, Shiro Vasthy, Kizhi, Abhyangam, Kshheeradoomam, Udvarthanam, Upanaham, Ubtan, Navarakizhi, Shiro Dhara, Sirovasthy and Thalapothichil. The clinic also offers Panchakarma, a set of five therapies designed to cleanse toxins from the body.